Please see below important information from the Harbour Master of Kimberly Ports Authority in regards to Cyclone Warning to the North Kimberley Coast. 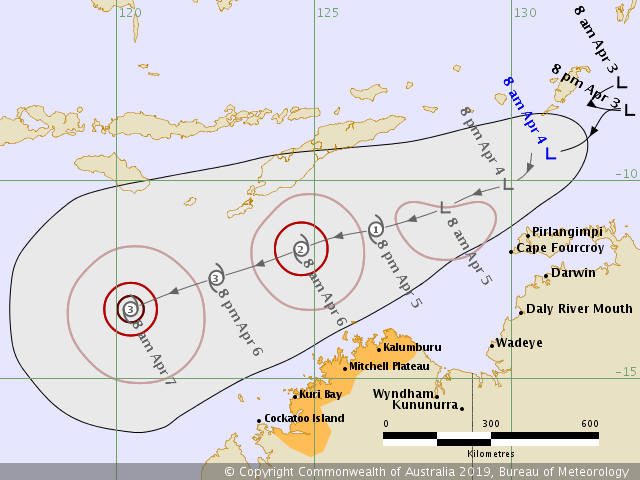 For your early information we are currently monitoring a possible cyclone developing to the north Kimberley coast. Watch zone: Cockatoo Island to Kalumburu. The watch Zone above may experience gales from late Friday evening into Saturday. The system is being monitored and we will keep you advised of further development.